Though best known for The Red Badge of Courage, his classic novel of men at war, in his tragically brief life and career Stephen Crane produced a wealth of stories—among them "The Monster," "The Upturned Face," "The Open Boat," and the title story—that stand among the most acclaimed and enduring in the history of American fiction. 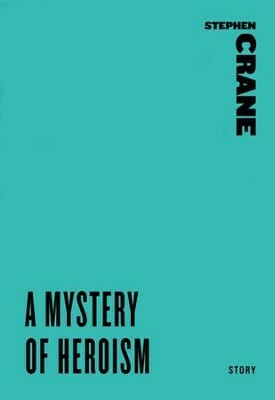 This superb volume collects stories of unique power and variety in which impressionistic, hallucinatory, and realistic situations alike are brilliantly conveyed through the cold, sometimes brutal irony of Crane's narrative voice. Stephen Crane was born in Newark, New Jersey, in 1871. He died in Germany on June 5, 1900. I'm the author/artist and I want to review A Mystery of Heroism - eBook.